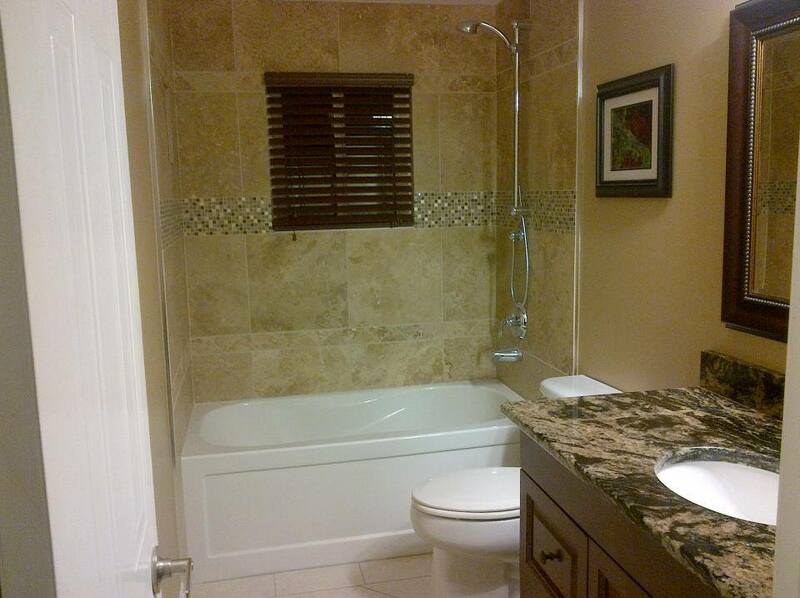 This is 18″X 18″ travertine tiled to the ceiling and around the window frame. The triangle border detail is cut down to. 4″X 4″ squares, then cut in half to create the triangle tiles. The mosaic is 1/2″ X 1/2″ glass, metal and marble. Notice the custom shampoo cubby. The Granite is a custom fit group 4 with an under mount sink and picture framed mirror. 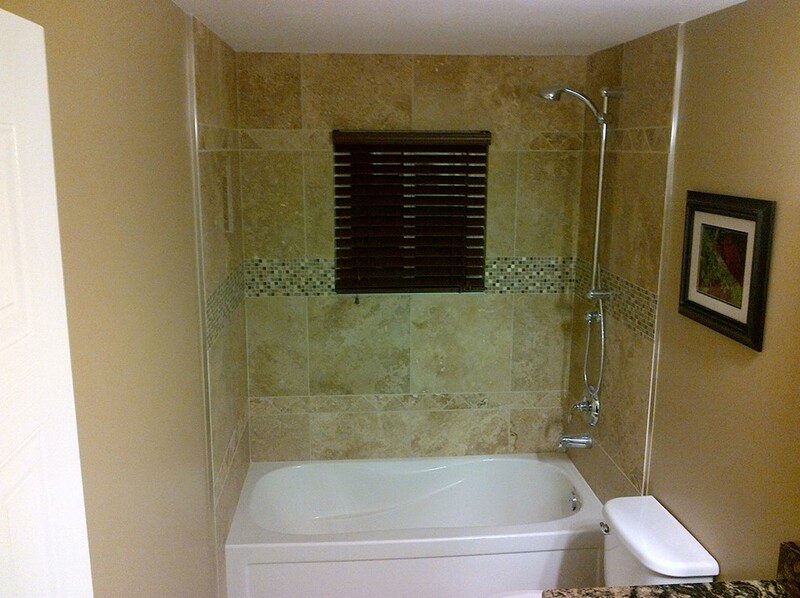 The Window over the tub has 2″ wood look PVC louvered blinds. We also added a new window and cappuccino maple cabinet(48″ x 34 1/2″) with four 18″ wide, deep linen drawers.